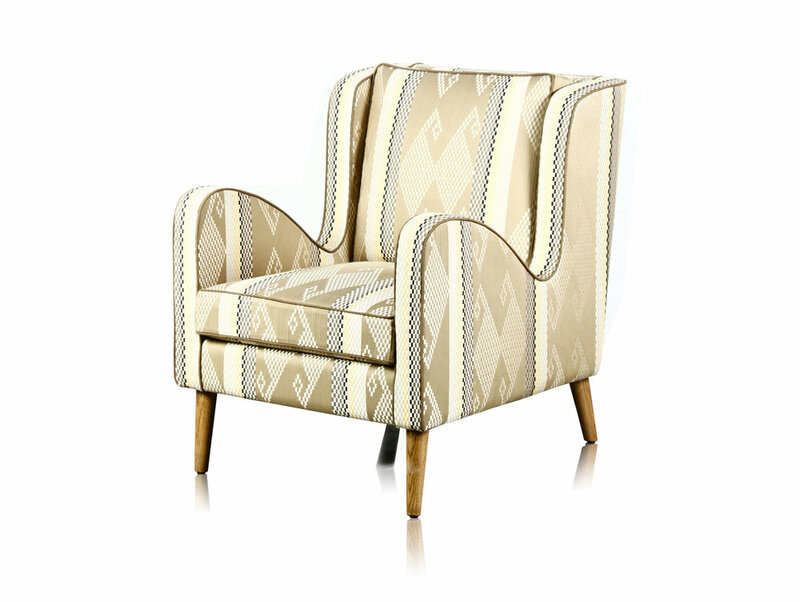 A laid back, low club chair shown here upholstered in an ethnic pattern upholstery in muted tones. Available in other upholstery options. Hardwood legs can be custom stained or natural.